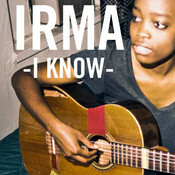 Are you a fan of Irma who sings folk, blues and pop? 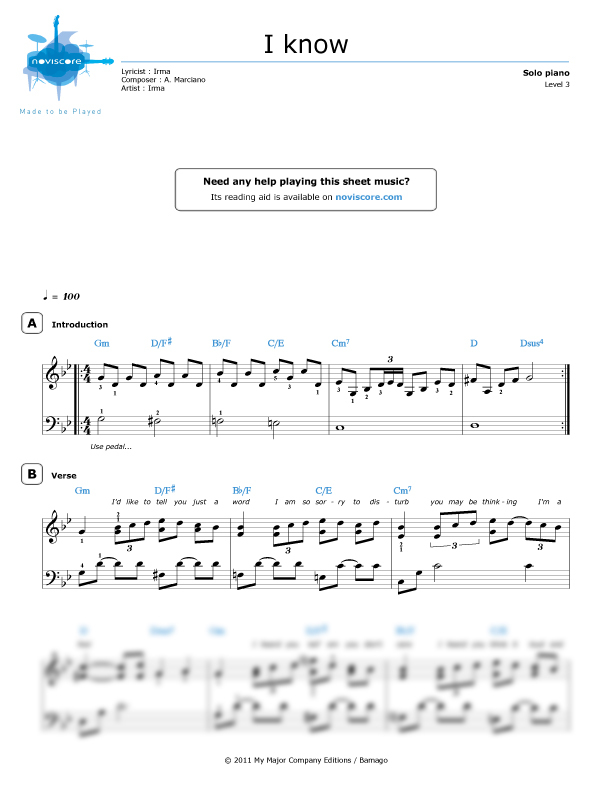 You’ll love our "I know" piano sheet music from her album "Letter to the Lord". If you are a beginner, we suggest our easy piano scores either with the traditional notes or the note names. 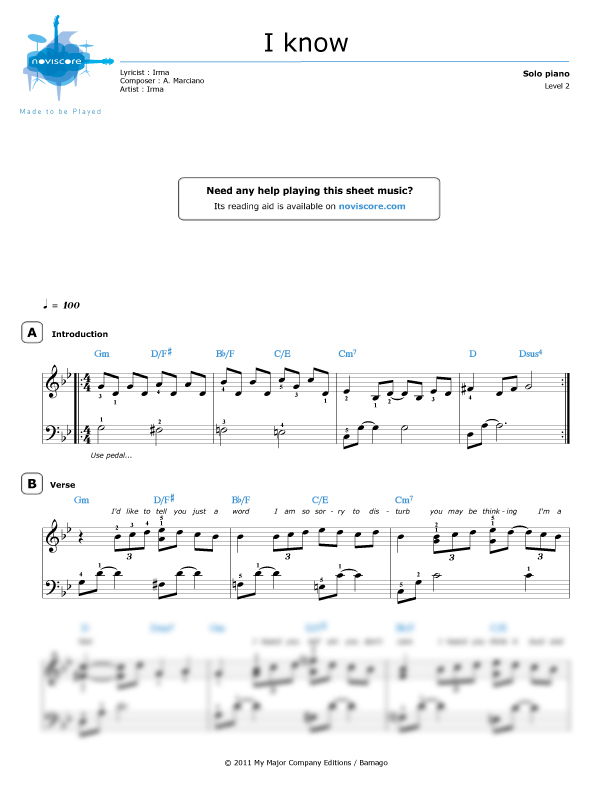 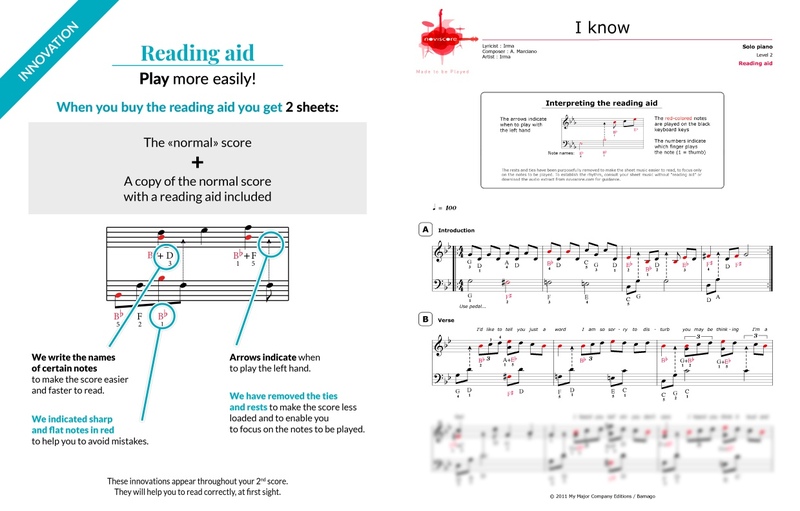 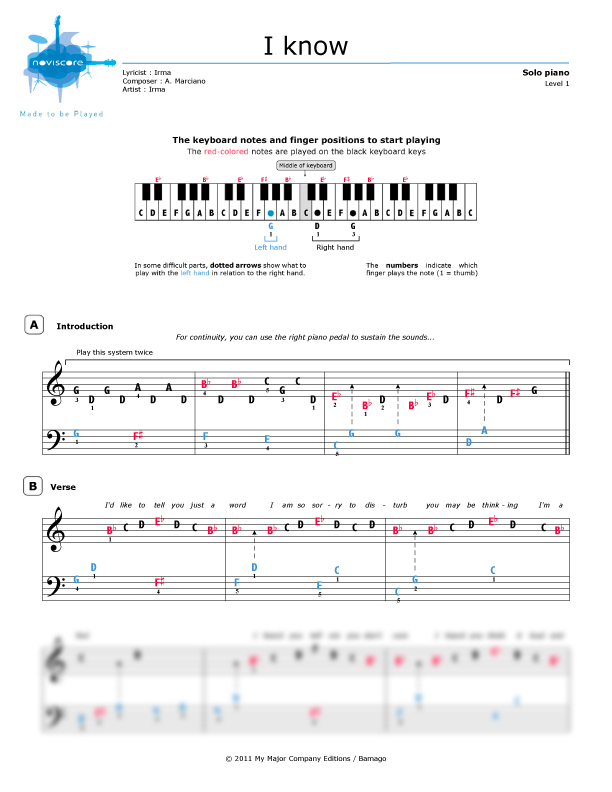 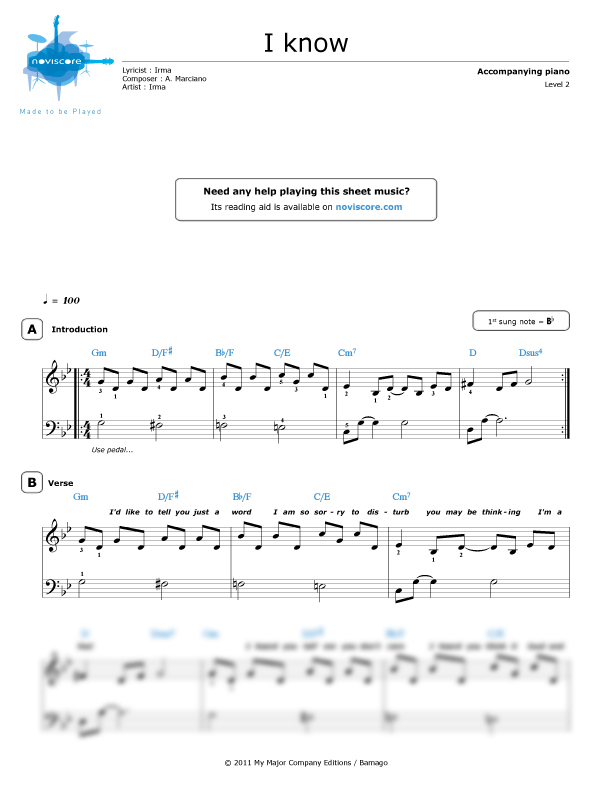 For pianists with a more advanced level, discover our sheet music with or without a reading aid to help with your sight-reading. 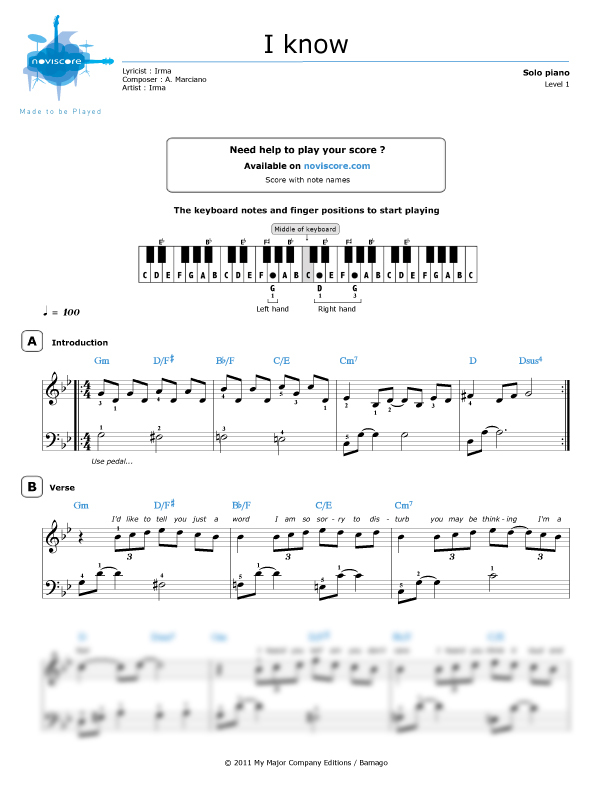 "I Know" was used in a commercial recounting the career of this Cameroonian singer and broadcast for the first time in January 2012 at the NRJ Music Awards.